Cooked over the open flames of our huge indoor barbecues and rotisseries, our feasts are freshly prepared using the finest ingredients and served generously. 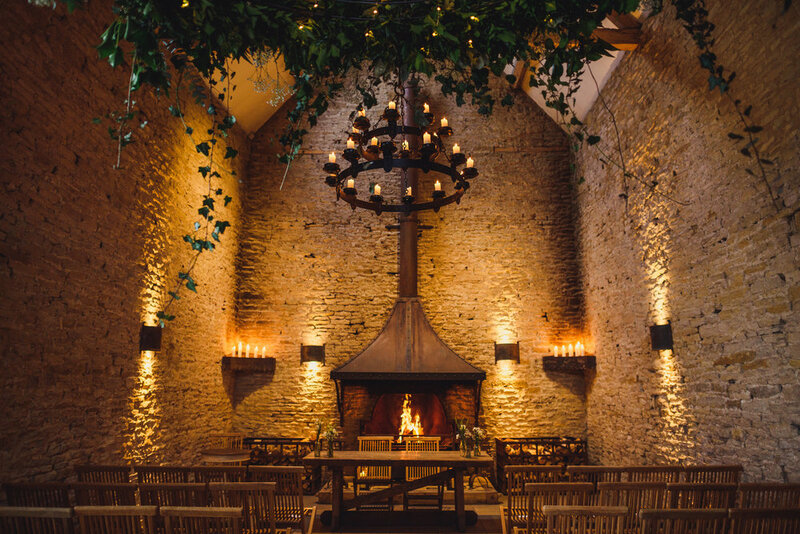 Stone Barn is licensed for civil marriage ceremonies, with space for up to 150 seated guests. Alternatively, we can host wedding celebrations in the barn following a ceremony in one of the local churches. Join us for dinner at Stone Barn to experience a range of our most popular dishes. For trusted, local suppliers: photographers, florists, cake makers, taxis companies, and more, see the Stone Barn Wedding Directory. Located five miles away from Stone Barn, Cripps & Co’s The New Inn is offering two nights free accommodation during the winter if you book the barn. This is for the night before and the night of your wedding. Visit accommodation for more information. Next door to The New Inn, Casina Cottage can accommodate 10-12 people. For other local hotels and B&B’s, please see Accommodation. To see the full menus and price lists for food, drinks and decorations please download the Stone Barn brochure.